Bobby “Bob” Whiteley, 62, of Huntsville passed away Wednesday, March 27, 2019 at Washington Regional Medical Center. He was born December 6, 1956 in Huntsville to Joe Dean Whiteley and Carmena Johnson-Whiteley. He was preceded in death by his parents and grandparents. Survivors include his wife of 42 years, Brenda Sloan-Whiteley; son, Jonathan Whiteley and wife Candi of Huntsville; daughter,Eva Whiteley of Southern, Arkansas; step mother, Evelyn Whiteley of Huntsville; three brothers, Claudie Whiteley of Springdale, Joe Whiteley of Clifty and Ralph Juarez of Huntsville; three sisters, Delores Eoff of Springdale, Barbara Cowan of Rogers and Eulena Scarrow of Berryville; grandson, Toby Whiteley and several other family members and friends. A visitation and service will be held from 1-3PM Friday, March 29, 2019 at the Huntsville Freewill Baptist Church. Burial will follow at Bohannan Mountain Cemetery. Funeral services are under the direction of Madison County Funeral Service. 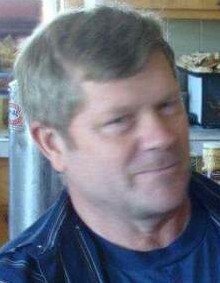 Please visit www.madisoncountyfuneralservice.com to leave the family an online condolence.